Whether we read about it in the tabloid headlines or hear whispers on the sidelines of a soccer game, parental alienation is a vindictive tactic aimed at punishing a spouse. The subject has recently surfaced after the news that a judge warned Angelina Jolie to allow Brad Pitt to spend more time with their children or risk losing full custody of them. Tragically, parental alienation’s deepest and lasting damage is to the innocent child or children involved in the parent’s manipulation. A form of programming or brainwashing, it seeks to turn a child away from a parent. Legally, it’s often complicated and difficult to establish because typically you lack so called “tangible evidence” against the favored parent (e.g., no photographs, medical records, etc., as you would in the case of other forms of child abuse such as physical or sexual abuse). It requires a highly skilled mental health professional to identify the alienation and to be willing to come forward and call a spade a spade. In the end, it’s often difficult to overcome the destructive and detrimental effect on the child if the alienating behavior has gone unchecked for too long. Parental alienation is painful for the children and places them in difficult and unnecessary situations. In my 35 years of practice, I’ve seen the full range of scenarios – with children choosing to avoid contact with the targeted parent all the way to extreme situations where horrific false accusations of physical abuse can occur. In extreme cases where false accusations are present, it’s especially traumatizing to the children because it opens the door to more complications that can take years to resolve depending on the age of the children. You can have as many as four separate professionals helping with your case, including an amicus attorney, therapist, custody evaluator and reunification therapist to help restore the relationship between the child and targeted parent. There are remedies that can help reestablish a positive relationship – anywhere from intensive outpatient therapy with a highly trained and skilled counselor, to inpatient treatment such as therapeutic boarding school or camps. However, the more drastic remedies may prove unsuccessful if the parental alienation has become so ingrained in the child over a long period of time. 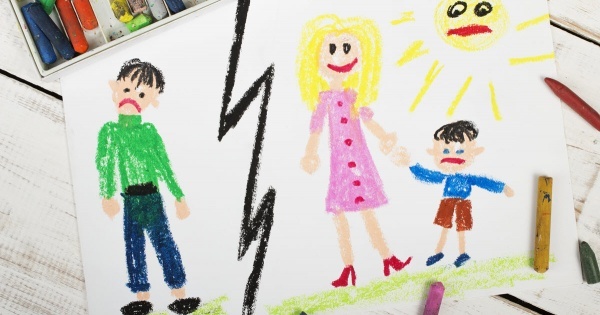 As a family lawyer, my practice includes a special emphasis on addressing the psychological impact of custody and divorce litigation on children. I have seen how parental alienation in particular can have a deep and destructive impact on children, well into adulthood. Let there be no question: Parental alienation, once confirmed by experienced and trained professionals, is undeniably a form of child abuse that no child should endure.